There are lots of reasons why I enjoy the zombie movies. The dystopian, post-apocalyptic futures are interesting to comprehend. The director’s viewpoints on how humanity reacts in response to the zombie infested world is also great. And there’s always humor in watching characters do things that we all know will get them killed because, irony of ironies, they don’t appear to have watched zombie movies to avoid dumb situations. Like riding on your horse down the middle of the street in one of the largest cities in the country soon after the outbreak. Seriously? But the primary reason I enjoy zombie movies is that the stories can be “scientific”. How the apocalypse starts is often ignored or unexplained, but in a lot of the movies (and one TV show), they make some attempt to base it on an environmental or medical cause, in other words, something plausible. The environment going crazy, medical experiments going awry, or a dormant gene in all humans are some of the better “causes” of the zombification of humans. As opposed to a lot of other horror genres, which require an almost religious nonsensical belief in their existence (vampires are unquestionably religious in nature, with sparkly vampires being absolutely the worst), zombies are a potential, although mostly non-serious, threat. How the zombie infection spreads is plausible. Zombies can be viewed as a metaphor for a serious infectious disease outbreak. 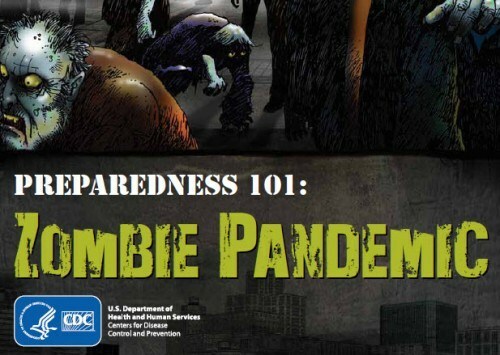 And even the Centers for Disease Control and Prevention has a humorous story about preparing for zombies (even though it is used to make a point about preparing for disasters). Canada’s Parliament recently discussed how to deal with a zombie apocalypse. British Columbia’s health department has also published information about a zombie outbreak in western Canada. The better zombie movies do attempt to bring “science”, albeit weakly in many cases, to the story lines. AMC’s wildly successful (and pretty well done) The Walking Dead, which is mostly based in the Atlanta, Georgia area, even tried to bring an aura of authenticity to the zombie outbreak by trying to explain the cause of the outbreak, and how it spreads. In the Season 1 finale, TS-19, the group of survivors go to the CDC (which is located outside of Atlanta) and eventually meet a Dr. Erwin Jenner (an obvious reference to Edward Jenner, an English doctor who gave us the smallpox vaccination), who explains how humans turn into zombies. And explains that there is no “cure.” He also tells a main character that the infection is dormant in all human beings, which becomes important in later seasons. Which leads to the new movie, World War Z, which appears to be a big hit so far, making boatloads of money in its first weekend. I went to an early screening of the movie, but I wanted to write about after most people saw it. I’m not a movie reviewer, and I don’t want to be one, even on the internet. The only other time I discussed a movie was Prometheus, and only then because the anti-science plot lines drove me crazy, partially because I had high expectations. Therefore, if you’re expecting a professional movie review, there are better places. I’m talking about one major plot point that made my pro-vaccine neurons quite happy. Some spoilers below, don’t read if you don’t like spoilers. You have been warned. World War Z, the movie, is based on World War Z , the book by Max Brooks. Frankly, the movie had about 10% in common with the book, which was well known before the movie was launched (and further reinforced by the trailers which focused on Brad Pitt, the star). For those of us, myself included, who loved the book, this was going to be a problem. I was thinking I was going to hate the movie. But then I saw it. It clearly only follows the book in a very few instances, and changes those plot points heavily from what was written in the book. WWZ, the book, was an oral narrative from literally dozens of points of view. WWZ, the movie, is seen nearly always from Brad Pitt’s point of view. But as a standalone movie, World War Z is outstanding, one of the best in the genre I’ve ever seen, beating out some classics. The zombies were not slow moving groaning undead. In this case, they were fast moving, had some sort of group intelligence to attack the humans, and they did not need humans for food. Whatever pathogen controlled the zombies just wanted them to spread the disease to the next human. No gore. Some people like the gore, and I’ll admit, I do like it, but this movie is not gory. It’s like a worldwide health detective story. Humans mostly didn’t do stupid things, as if they’ve never read about or seen a movie about zombies. I hate that in most zombie movies (and TV show, I’m looking at you Walking Dead). The zombies in WWZ had the creepiest teeth chattering thing going on. Scary. No stupid human vs. human fighting (mostly, Brad Pitt has to save his wife once). It’s all about us against the zombies. Infectious disease specialists were brought in from the beginning. Very early in the movie, a team of World Health Organization researchers, including one young cocky researcher, were stumped about the disease, but had some very viable and acceptably scientific explanations for the outbreak. Based on what the young cocky researcher said (didn’t catch his name, since his lifespan in the movie was rather short, and he didn’t die of a zombie attack), Brad Pitt figures out that zombies won’t bite individuals who are already infected with a deadly pathogen or parasite. Pitt and an Israeli soldier (she has an important role in the movie) make their way (in some fairly exciting scenes) to a WHO laboratory stuck in the middle of Wales. Humans are vaccinated, so that the pathogen which hides them from the zombies doesn’t kill them. (OK, I’m not 100% sure how this would work, but I’ll give it an A- on the science scale of movies). Yes. Vaccines saved us from the zombie apocalypse, at least in a movie. 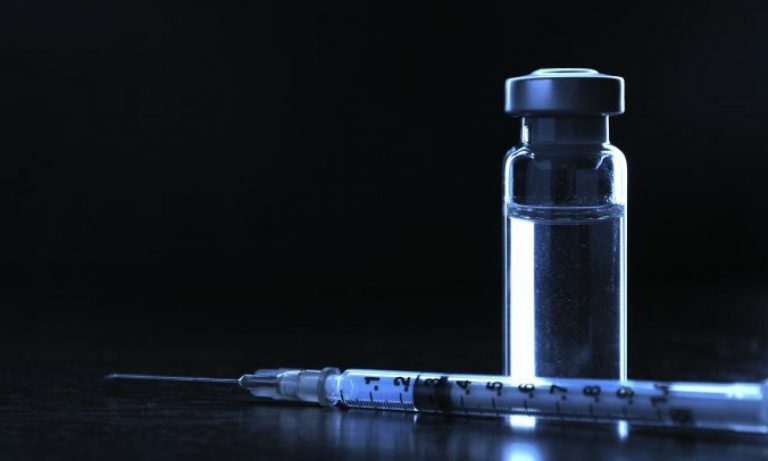 And the anti-vaccine horde is going to go crazy. By the way, a friend of mine mentioned that at the end of WWZ, a couple of women near her said “but what about the side effects”, presumably of the vaccination. Yes, because any side effect is as important as possibly preventing you from becoming a biting, unfeeling, uncaring zombie. Oh wait, I see irony. And that’s why the vaccine deniers are going to hate this movie.